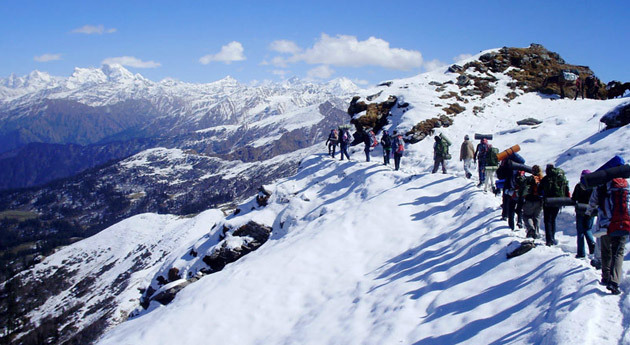 ﻿	Har ki Doon Trekking Tour – Trekking in Garhwal. 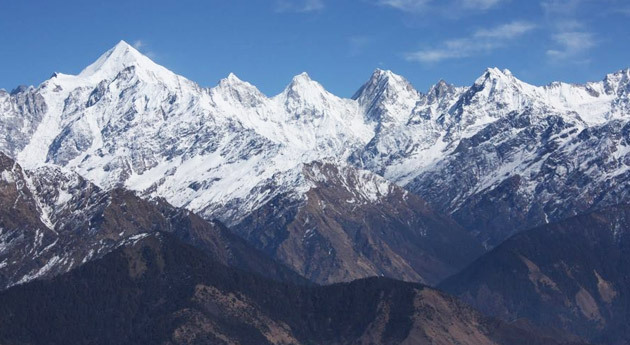 One of the most popular treks in Garhwal Himalayas, Har ki Dun is situated at an elevation of 3566 meters and encompassed by glittering peaks and dense forests. The trek is rated as “easy” to “moderate”, though a person needs to be physically fit to be a part of this trek. Also, one can spend time in doing photography and snap a variety of birds and nature. It is a holy place and also serves as a base for Swargarohini perched at a height of 21000 feet. If you are interested in religion or history, a visit to this exquisitely carved temple dedicated to Duryodhana- the famous Kaurava Prince. If glaciers beckon the adventure lover in you, the Jaundhar Glacier at 4300 meters is just 5 kilometers away from Har-Ki-Doon. To sum up, it is impossible to describe the beauty of this valley in mere words and one must see this area to believe the above said things. In the morning, board an A/C train to Dehradun. By afternoon, the train will arrive at Dehradun Railway Station. Upon your arrival in Dehradun, our tour representative will meet you and assist you in smooth transfer to the hotel pre-decided for your stay. One of the most fascinating hill stations in India, Mussoorie, with its verdant hills and exquisite flora & fauna, offers commanding views of the snow-clad peaks, the Doon Valley and Shivalik ranges in the South. The history of Dehradun dates back to 1827. Captain Young, an adventurous military officer, explored the present site and laid the foundation of this hill resort. Of late, Mussoorie has developed into an important center for business and education. The officers for Indian Police Service and Administrative Service are trained here. Today, in the morning, leave by road for Sankri. A scenic village located at a distance of 162 kilometers from Dehradun, Sankri is located in the Tons Valley affording majestic views of the snow-clad Himalayas. It is the entry point to the scenic valley of Har-Ki-Doon. Stay overnight in the tent. From Sankri, you will start your trek through a well-made road that passes through dense forests with gorgeous views of local settlements and River Rupin. Taluka is a small village which is nestled at a height of 1900 meters and features guest houses and a few shack shops offering daily provisions to the natives. Stay overnight in the tent. Today, the trekking trail from Taluka will descend and then slowly continues towards the left of the valley bordering the river Rupin. Later, you will pass by the beautiful forests of Chestnut, Walnut and Willows and continues to the village of Gangar. Here, you will cross the side stream and continue to ascend to see the beautiful Osla Village settlement on the right of the valley. 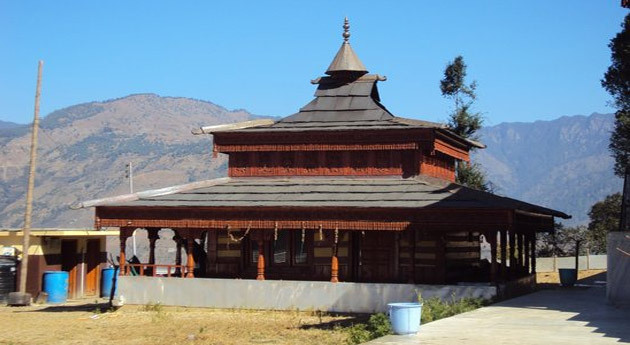 Osla/Seema Village is a small tourist place dotted with grocery shops, a forest rest house and a tourist Bungalow. Stay overnight in the tent. The trekking trail from Seema will originally continue on the left side of the valley. Later, you’ll pass by fields following which you’ll have to cross a hanging bridge over river Rupin to reach the right side of the valley. The trekking trail will now go up and pass by fields and pastures with huts. The coniferous flora on the opposite side of the valley is quite appealing. Later, you’ll climb up to the ridge called as Kalkatti Dhar. From here onwards, the trek traverses to provide you a breathtaking view of Har ki Dhun. 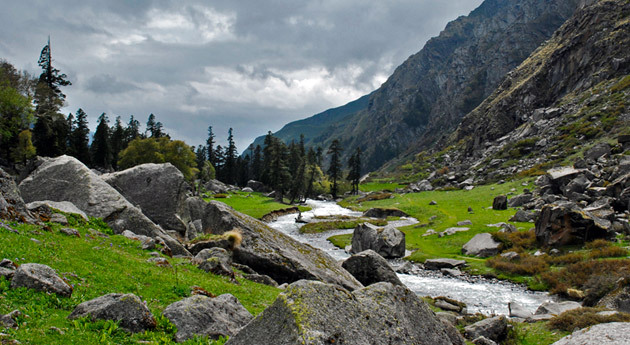 Thereafter, the trail climbs gradually and later gets steep into the beautiful meadows to the campsite at Har ki Dhun. Stay overnight in the tent. The day is free for you to chit-chat with group mates and marvel at the breathtaking beauty of Har ki Dhun. In the morning, you can explore Morinda Lake in the first half of the day. A cradle shaped valley in the Garhwal Himalayas, Har ki Dun Valley is encompassed by snow covered peaks and alpine vegetation. It is well-linked to Baspa Valley by the Borasu Pass. Post lunch, set out on a sightseeing spree towards Jaundhar Glacier. Stay overnight in the tent. Post breakfast in the morning, start your trek to Debshu Bugyal. Debshu Bugyal is a high altitude meadow in the state of Uttarakhand. Often referred to as 'Nature's Own Garden', these Bugyal are often flat/sloped and often carpeted with green grass and seasonal flowers. Lunch will be served en-route. Dinner and overnight stay at the camp. Today, in the morning, start trekking towards Ruinsara Tal. The trek from Debshu Bugyal to Ruinsara Tal passes through high mountain fields, verdant grasslands and coniferous forests. The trekking tour will approximately take around 5 to 6 hours to get complete. Stay overnight in the tents. The day 9 is scheduled for acclimatization and exploration of the surroundings around the Ruinsara Tal. Ruinsara Tal is a beautiful lake located adjacent to Swargarohini range. 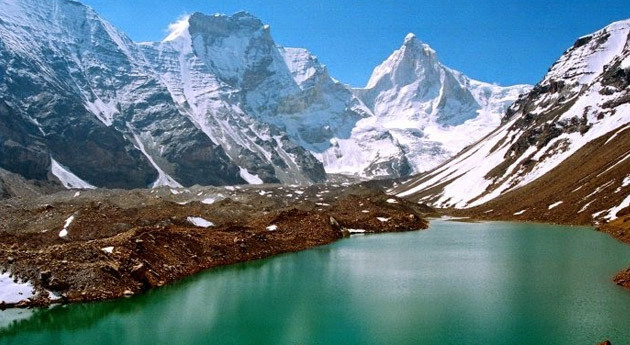 The lake is situated at an altitude of 3600 meters and is quite popular among trekkers. Here, you are free to relax and simply enjoy the lush green foliage spread all around. The place is certainly a photographer’s delight. Dinner and overnight stay in tents. Post breakfast in the morning, start your trek towards Osla (18 kilometers). Osla is a place which has a very small population in the Uttarakhand province. It is a famous stopover for trekkers to Har ki Dhun. There is a GMVN Rest House as well as a camping ground at Osla. The trek will take around 4 to 5 hours. Later, set up a camp by the Supin River. Here, you can visit the famous Duryodhana Temple that was built by the local inhabitants of Saur who worship Kauravas as their ancestors. Dinner and overnight stay in the tent. On the 11th day of trekking, treat your eyes with the glow spread all around when the sun rays touch the ground. Start trekking down towards the Taluka Village. The beauty down the valley is really breathtaking and truly worth your admiration. On reaching Taluka village, set up a camp at the camp site. You may choose to explore the breathtaking surroundings or simply relax in the tent. Stay overnight in the tent. Today, in the morning, you will start your trek from Taluka to Dehradun via Sankri. The trekking tour will pass by the forests and well-made road. En-route, you can marvel at the breathtaking beauty of green foliage and sun-kissed sky. Upon arrival in Sankri, get down on your feet and bid adieu to ponies and porters. Later, board the vehicle and start driving towards Dehradun, the capital of Uttarakhand. On reaching Dehradun, check into the hotel for dinner and overnight stay. In the morning, board an A/C train for Delhi. Upon your arrival in Delhi, you will be transferred to the airport to board flight back home.